This is a popular dish throughout Northern Africa, and the Middle East and you can see why. It's quick, simple, full of flavour and its easy to scale up or down. 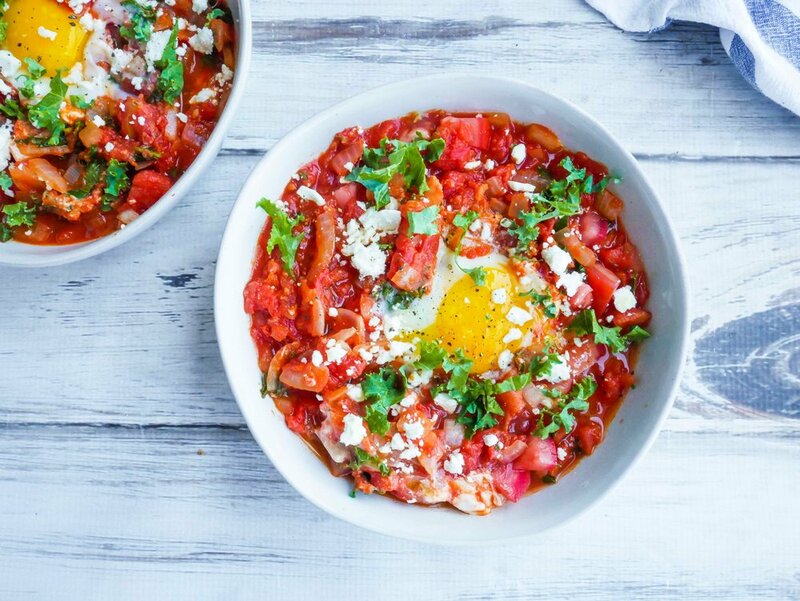 The eggs are poached in a perfectly spiced vegetarian stew of tomato's, chili and onion. Add a salad and your favourite bread, and you can turn it into lunch or dinner! 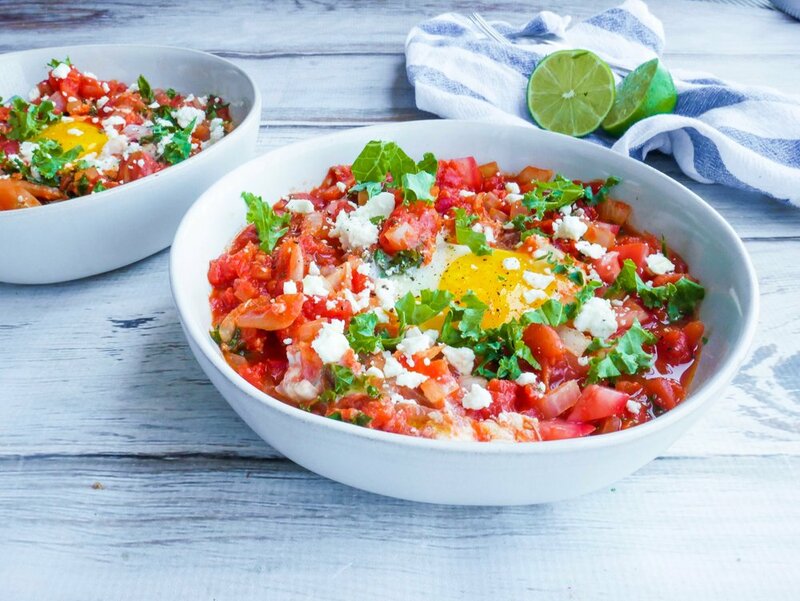 Parsley, coriander, chili flakes, hummus and extra eggs can be added to this recipe. Heat olive oil in a fry pan over medium heat. Add the garlic, onion and chili, cook for 3 minutes. Add the tinned tomato's, cumin, chopped tomato and water. Simmer for 5 minutes and crack the eggs into the sauce. Cook for another 5 minutes or until the egg whites begin to set. Sprinkle with kale and feta. To serve, spoon mixture into 2 bowls and drizzle with lime juice. Serve warm.